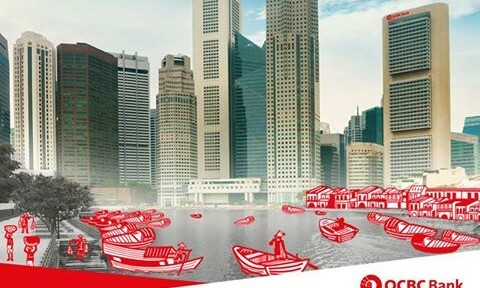 OCBC Bank and StarHub have struck a partnership to drive Singapore’s collaborative economy. The partnership will see both entities investing SG$6 million in research and technology over the next 12 months for a start. Called the “We Economy”, the collaboration will work on two key thrusts – namely digital innovation and customer experience. OCBC and StarHub will jointly harness data insights and focus on understanding customer needs and delivering more relevant solutions, experiences and offers. The partnership will also explore opportunities in artificial intelligence and internet of things to enhance customers’ connected lifestyles. According to a press statement, the partnership between OCBC Bank and StarHub is the first step in a multi-year plan towards bringing together essential businesses across industries. These include transport, retail, insurance, health and wellness, and real estate. As such, the partnership welcomes companies which “share the same ideology” to be part of the ecosystem. By coordinating, involving others and drawing on each other’s strengths and resources, ‘We Economy’ businesses will be able to discover new markets, effect change on a larger scale and deliver greater customer value in ways that surpass the efforts of any single entity or industry. To mark the start of this partnership, both brands launched the first store-in-store at OCBC Bank’s orchardgateway branch. The branch combines OCBC Bank’s financial capabilities and StarHub’s catalogue of info-communications and entertainment services. It aims to illustrate the benefits customers can expect out of the “We Economy” and allow customers to manage their banking and digital lifestyle needs in one store. “This partnership is born out of the strong belief by both of us that by innovating together, rather than each doing its own thing, we can serve our consumers more comprehensively, effectively and efficiently. StarHub and OCBC have been very active in the space of digital innovation,” Samuel Tsien, group CEO of OCBC Bank said. “In this new economy, effective collaboration can drive business success. We are happy to team up with OCBC Bank, leveraging our shared strengths in digital lifestyle solutions and omnichannel engagements to deliver enhanced customer experiences,” Tan Tong Hai, CEO of StarHub said. Maxis takes an approach to mobile marketing by offering advertising solutions to advertisers. .. Global management consulting firm Accenture has made a significant inroad into the big data and digital marketing space with the s.. Does your CFO tell the CX story better than your CMO? "If you want to be truly customer centric and prove it, you have to connect financial to CX". ..